How much do you value your probiotic foods? According to Mark McDonald of the New York Times Koreans considered it a “national tragedy” in 2010 when they experienced a cabbage crop failure. 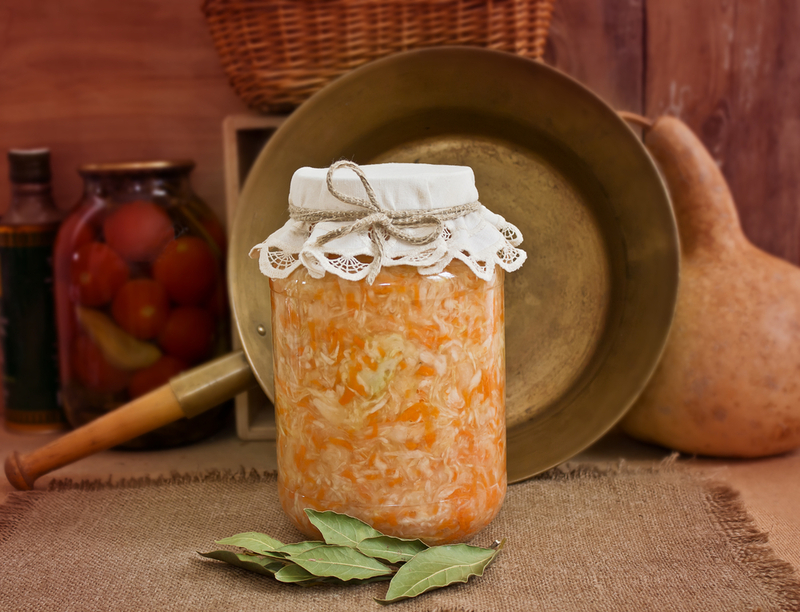 Protect your gut and your overall health by starting a batch of kim-chi or sauerkraut today. Kim-chi is easy to make and is a wonderful addition to a real food diet. It will take you about 20 minutes to prep and save you dollars over purchasing real kim-chi in the markets. For more detailed information about this bacteria-building food, read The Kim-chee Cookbook by Lauryn Chun, The Art of Fermentation by Sandor Katz and Nourishing Traditions by Sally Fallon. Enjoy our variation of Sally Fallon’s kim-chi recipe below. We’ve spiced it up a wee bit to warm you up and bring down inflammation in the gut. Prepare vegetables. Place all ingredients except water in a bowl and pound with a kraut pounder or meat hammer for 10-15 minutes, until juices are released from vegetables to the point of completely covering the vegetable mixture with the brine. If necessary, add Celtic sea salt to purified water creating additional brine. Place vegetable mixture in mason jars or Pickl-It jars. Pour the brine over the vegetable to completely cover vegetables. Cover kraut with a plate or lid that fits snugly inside the crock or glass container. Cover tightly and place in pantry at room temperature for approximately a week. Begin checking and tasting the kim-chi after five to seven days. In cooler temperature the kim-chi will need up to three weeks to ferment. Once taste is ripe, transfer container to refrigerator.